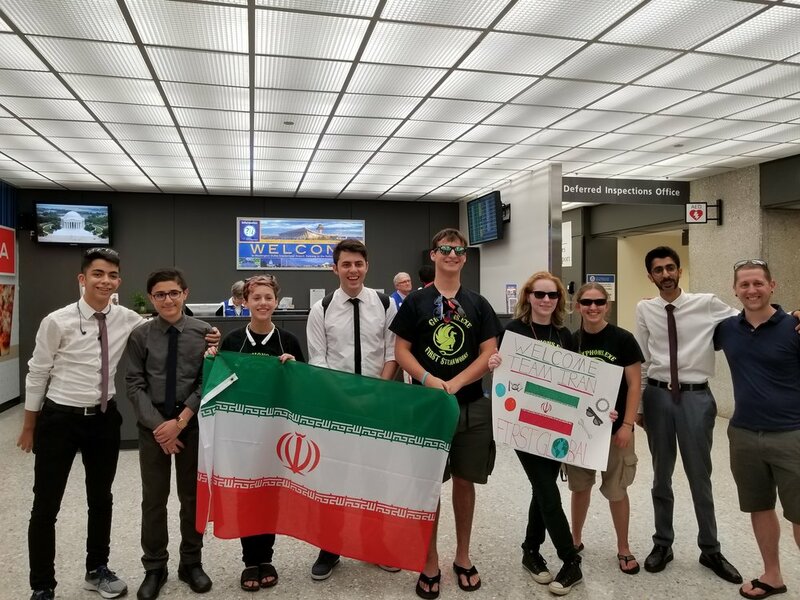 The Gryphons exe robotics team from Marshall High School have reached out to lend a hand to a robotics team of Iranian high school students. To prepare to compete in the inaugural FIRST Global Challenge, an international robotics competition with high school teams from nearly 160 participating nations, the Team Iran robot kit—containing robot parts provided by FIRST Global—was not approved for shipment to Iran due to sanctions on technology exports to the country. FIRST Global recruited the Gryphons exe to help build and program the Team Iran robot, with directions from the Iranian team via video conference. Team Iran now has just a few days to interact with their robot and catch up with teams that had more time to prepare for the competition. The FIRST Global Challenge will take place July 16-18 at DAR Constitution Hall in Washington, D.C., to address access to clean water, one of the 14 grand challenges for engineering identified by the national engineering academies of the U.S., U.K., and China. Each year, a different issue of global importance will be featured as the theme of that year’s challenge, which will be held in a different nation across the world. Contact Marshall Academy administrator Jeff McFarland at jjmcfarland@fcps.edu.